Do you know that almost anything you can grow or obtain which is fresh can be preserved? The method that is used to preserve foods will vary, but the result is food that you have to use when you want. You will have the choice to preserve pretty much anything you want to have for a meal. The method that you use to preserve pretty much anything will depend on your preference. Freezing will be one of the best methods to use for preserving food. Canning and dehydration are also options if you are looking for other alternatives. Preparation will be an important part of the preservation process. 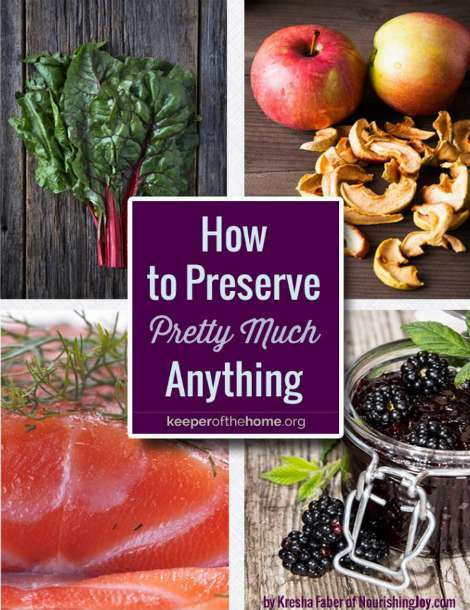 You may be surprised to find out the types of foods and the methods that can be used to preserve pretty much anything. A little research is needed to determine if you need to have any extra equipment or any special equipment to use in your kitchen.